We are offering Calf feeding bottle to our clients. We are amongst the reputed organizations, highly engaged in offering an optimum quality range of Calf Feeding Bottles. In order to meet the increasing demands of our clients we are engrossed in supplying best series of Calf Feeding Bottle. It can be bought from use in standard designs and patterns. 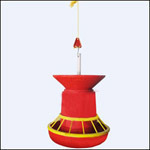 - Feeders are left hand side hanging unless otherwise specified. Made of 304 Stainless Steel. Owing to our in-depth knowledge in this domain, we are specialized in providing Calf Feeding Bottle. 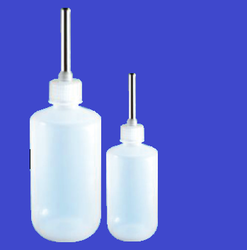 Our presented series of Calf Feeding Bottles is enormously demanded in the market for their long-lasting nature and superior finish. Aluminum Feeder / Drinker 2 Ft.